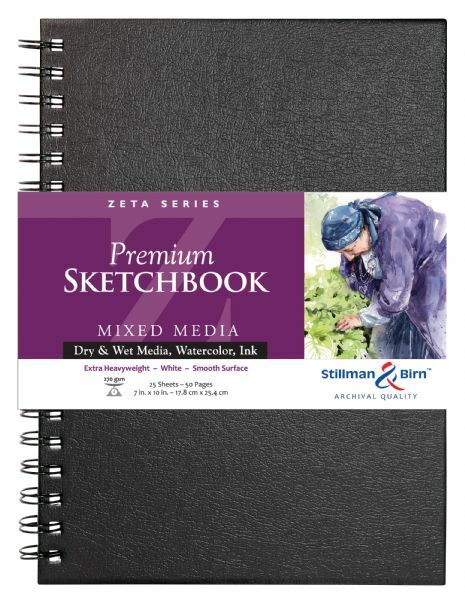 Stillman & Birn™ Zeta Series Sketchbooks Wirebound 7" X 10"
* Heavyweight 180 lb./270gsm, natural white paper. * Smooth surface with minimal tooth provides exceptional line control for pen and ink work, as well as dry media ranging from graphite to pastel. * Internal and surface sizing also makes it suitable for multiple washes with wet media. * Paper has high opacity allow for brilliant color intensity. 10" x 7.25" x 0.5"